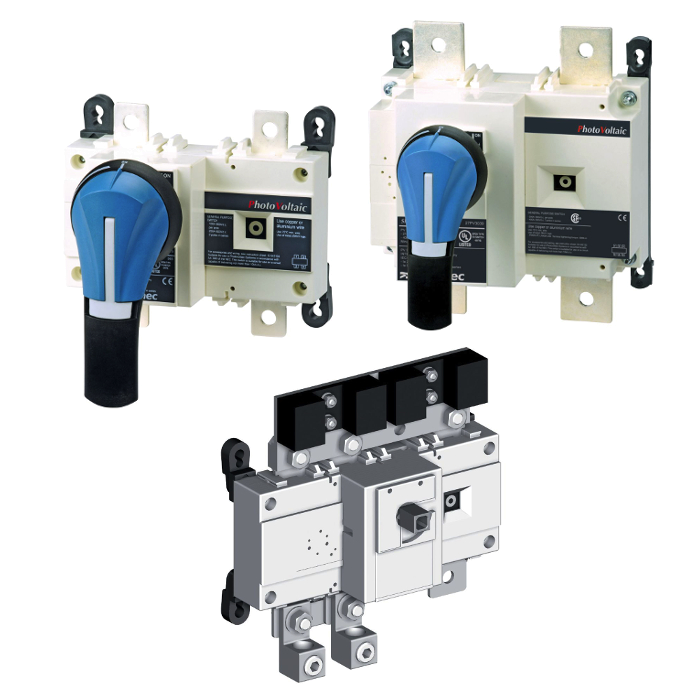 SIRCO PV UL 98B are manually operated multipolar disconnect switches.They make and break under load conditions and provide safety isolation for any DC/PV circuit up to 1500 VDC. They comply with NEC Article 690 concerning photovoltaic installations. They are compliant for use within solar inverters and enclosures governed by standard UL1741. They have been designed and tested for all types of applications: Grounded, floating or bipolar.